The Massachusetts Appeals Court issued an important appellate decision this week on the “hold the note” requirement for Massachusetts foreclosures. First, a brief background. A promissory note is a written contract to pay a certain sum of money at a specific point in time. When a homeowner purchases a property, they sign a promissory note with the lender, promising to repay the borrowed money (and with it, grant the lender a mortgage to the property; a security agreement allowing the lender to foreclose if the money isn’t repaid). A promissory note is a legal agreement that can be sold to another entity (known in law as a negotiable instrument). “Negotiability” is the essence of promissory notes for residential home buying: the original lender of the home rarely holds the note for the duration of the loan, and generally sells it on the secondary market (with Fannie Mae, Freddie Mac, and securitized trusts being the common buyers of these loans). Many homeowners are shocked to realize that the entity they borrowed money from is often out of the picture not long after the home is purchased. These transfers of promissory notes became a real problem for banks and lenders during the foreclosure crisis. With so many foreclosures happening at once, banks had difficulty getting their paperwork in order, with some foreclosing entities performing foreclosures without actually owning the underlining loan. In Eaton v. Federal National Mortgage Association, the Supreme Judicial Court held that a foreclosing entity needs to hold the promissory note, or act on behalf of the noteholder, to do a valid foreclosure (this requirement applies only to foreclosures occurring after the date of the Eaton decision: June 22, 2012.). In this recent Appeals Court decision, Khalsa v. Sovereign Bank, N.A., the Appeals Court considered what a foreclosing entity needed to show that it was “holding the note” or acting on behalf of the owner of the loan. In Khalsa, the owner of the loan was Freddie Mac (a government corporation who buys loans from lenders). The loan servicer (who collects the loan payments on behalf of the owner of the loan) was Sovereign Bank, which was the entity who performed the foreclosure. Under Eaton, Sovereign Bank could foreclose only if it had authority to act on behalf of Freddie Mac. Easy enough to prove? Not quite, said the Appeals Court. The Court ruled that the question of whether Sovereign Bank had acted on behalf of Freddie Mac was a question of fact: a matter that needed to be decided at trial. The Appeals Court considered the thousands of pages of documents and amply determined that a trial was needed to resolve this issue. Simply put, Sovereign Bank wasn’t able to show that, undeniably, such a relationship existed. The homeowner, in turn, also wasn’t able to prove the opposite: that Sovereign Bank had no authority to do the foreclosure. As such, the matter needed a trial to be resolved. Proving that a foreclosing entity “holds the note” at the time of foreclosure can be an arduous task. Khalsa shows that these questions often need to be resolved at trial, which can make for an effective foreclosure defense. In a footnote at the end of the decision, the Appeals Court appears to reject the argument that simply recording an affidavit in the land records is proof, in and of itself, that a foreclosing entity “holds the note” (an argument that lenders often raise against this foreclosure defense argument). Khalsa suggests that while such an affidavit may be considered as proof for this purpose, this document does not by itself resolve these matters (especially in the face of conflicting and missing documents). A copy of Khalsa v. Sovereign Bank is below. 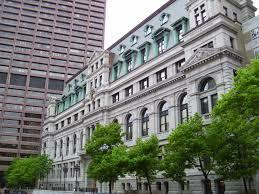 This entry was posted in Massachusetts Foreclosure Law Blog and tagged appeals, court decisions, foreclosure process. Bookmark the permalink.